Update: here are some readers' letters about our exchange. 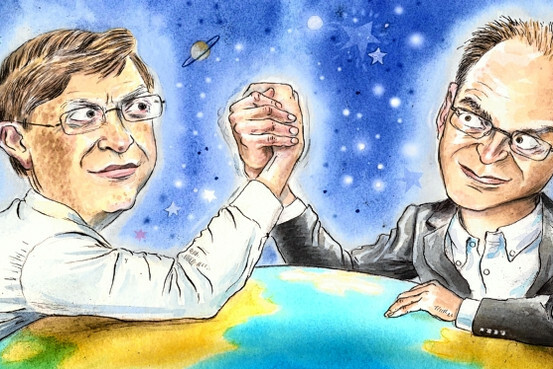 I've never arm-wrestled Bill Gates, but we have now had a good natured debate in the pages of the Wall Street Journal. Here's his effort, and here's mine. I am certainly not saying, "Don't worry, be happy." Rather, I'm saying, "Don't despair, be ambitious"-though I admit it's not nearly as snappy a song lyric.